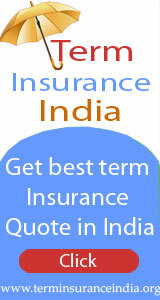 04-What Home Insurance policy covers in India? 05-What Home Insurance policy in India does not cover? c)-Circumstances under Which Claims Get Rejected. d)-Claims Not Allowed - Some Case Studies. (FAQ) Frequently Asked Questions on Home Insurance in India. a)-Market Share of Home Insurance in India. Q.14. Is our home covered from earthquake damage? Ans. Yes. It can be covered but you should pay premium for it under the head of earthquake. (b) Damaged garden furniture lying in the lawn. Is it covered? Can we lodge claim? Ans. (a) For car you should lodge claim under OD part of motor insurance policy. If you have taken third party cover then you are not eligible for any claim for this damage and you should bear this loss. (b) For furniture damage it is a border line case. Some insurer may reject this claim and some insurer may pay also .Make a serious try. Q.16. Is our home covered by the destruction due to rain? Ans. Yes, it is fully covered. You have to be careful that you have insurance cover equal to the full value of the assets. Avoid underinsurance as you may lose in the event of any claim. Take it that underinsurance and depreciation are common terms are used by the insurance companies to disallow the claim. Q.17. Do I need extra insurance coverage if I am renovating my home? Ans. If you are adding good degree of POP work or are adding cupboards/changing tiles which is resulting in increase in sum assured by 10% or higher. Yes you should increase the sum assured and pay additional premium. 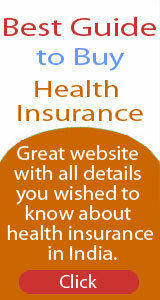 The insurance company will issue endorsement to the existing policy. Q.18. How can I save money on my Home Insurance? Ans. There is not much scope to same money as premium is very low. If you wish to save money by showing lower sum assured –you will ultimately lose because when it comes to lodging the claim then it will be rejected by showing that this is a case of under insurance. When lakhs of Rs are involved don’t think of saving few hundred Rupees. It is not in your interest. Q.19. Are the contents of my home covered under home insurance policy? Ans. Yes. You should prepare the contents list properly and put values in the proposal form. Q.20. If contents are covered would it give insurance for damage due to fire, flood and earthquake? © 2013 Ria Insurance Brokers Pvt. Ltd.